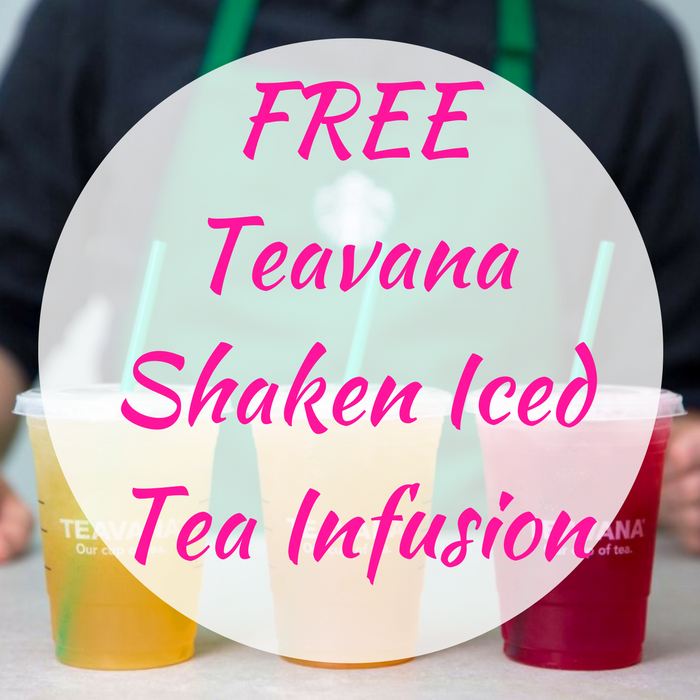 FREE Teavana Shaken Iced Tea Infusion! You are here: Home / FREEbies / FREE Teavana Shaken Iced Tea Infusion! On July 14, from 1pm – 2pm only! Starbucks will be offering a FREE Tall 12oz Teavana Shaken Iced Tea Infusion – no coupons needed! You can choose from Pineapple Black Tea, Peach Citrus White Tea, and Strawberry Green Tea. Please note this is at participating locations only and the limit is one per customer. So nice!